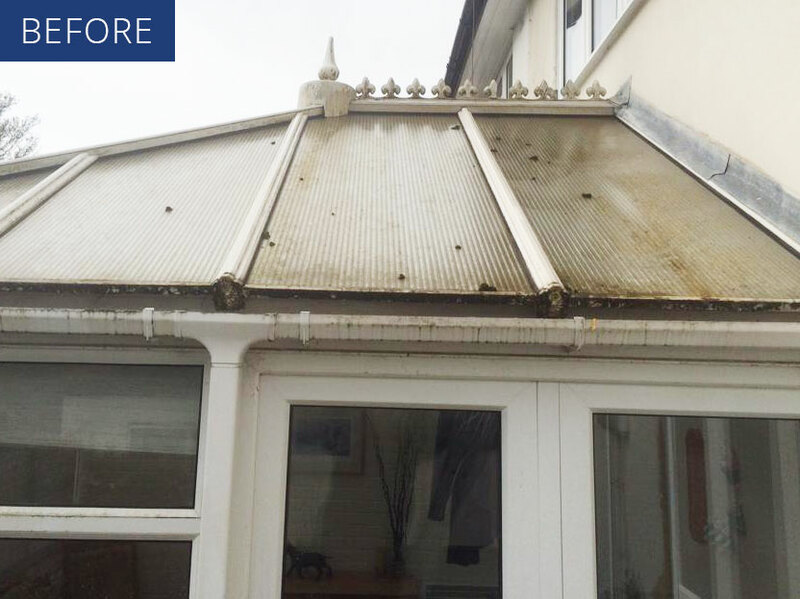 We use the latest water fed window cleaning system with amazing results which has many advantages over traditional window cleaning systems. 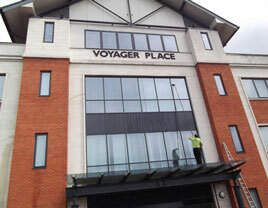 Water fed poles enable us to clean windows up to 60 feet high as easily as at ground levels. 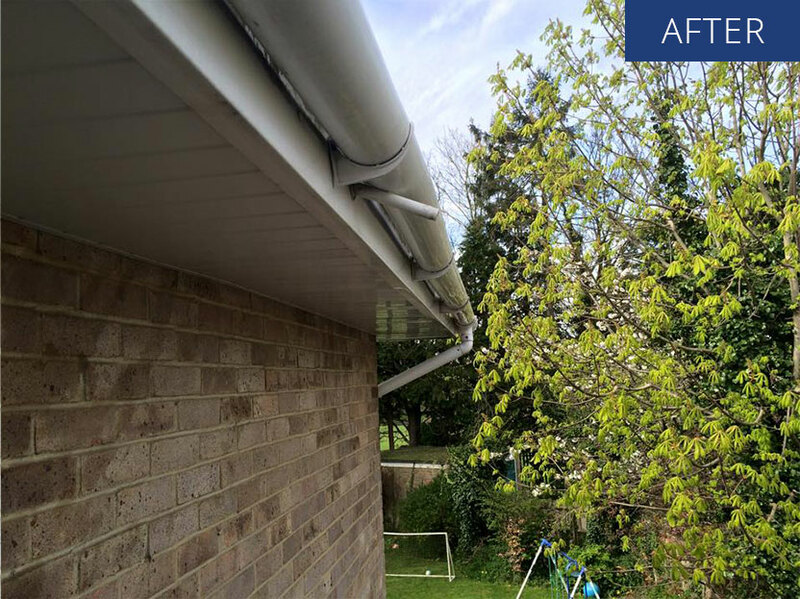 The system maintains your privacy and because no ladders are used, there is no risk of damage to guttering & roof tiles. 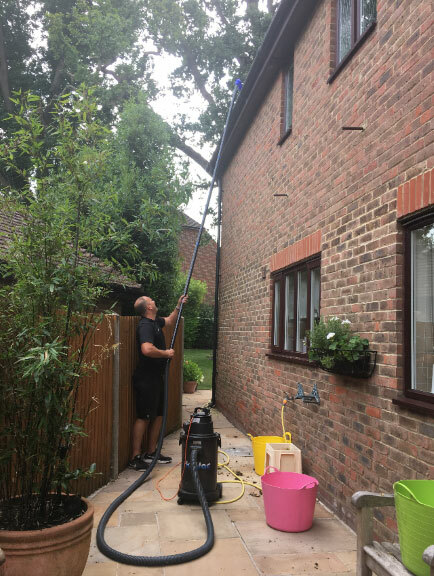 Seymour Cleaning Services provide Commercial & Industrial window cleaning throughout Surrey, Kent, Essex, Hampshire, West Sussex, and South London. 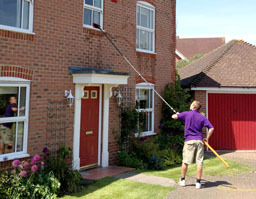 Call the Seymour Window Cleaning team to work their magic on the exterior of your home. 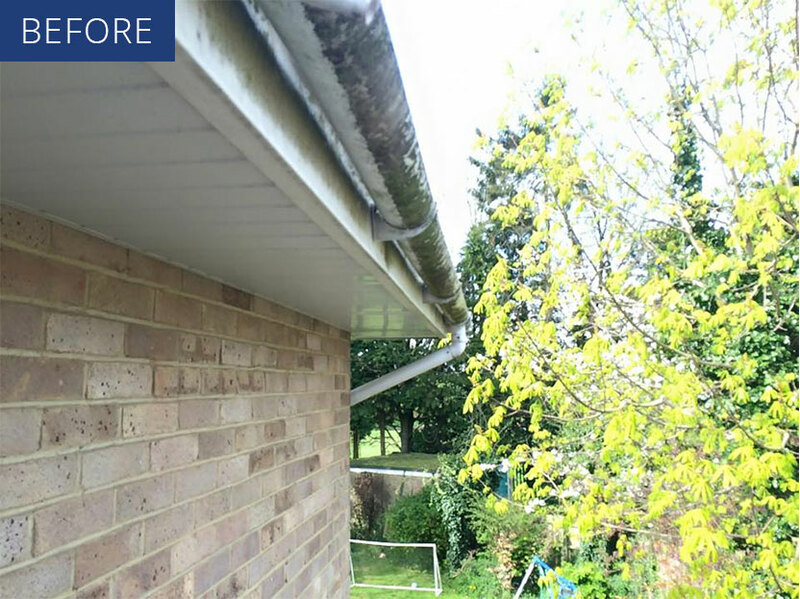 They offer a complete service for all aspects of your home’s exterior – from windows to fascias and guttering, driveways and patios to conservatories. 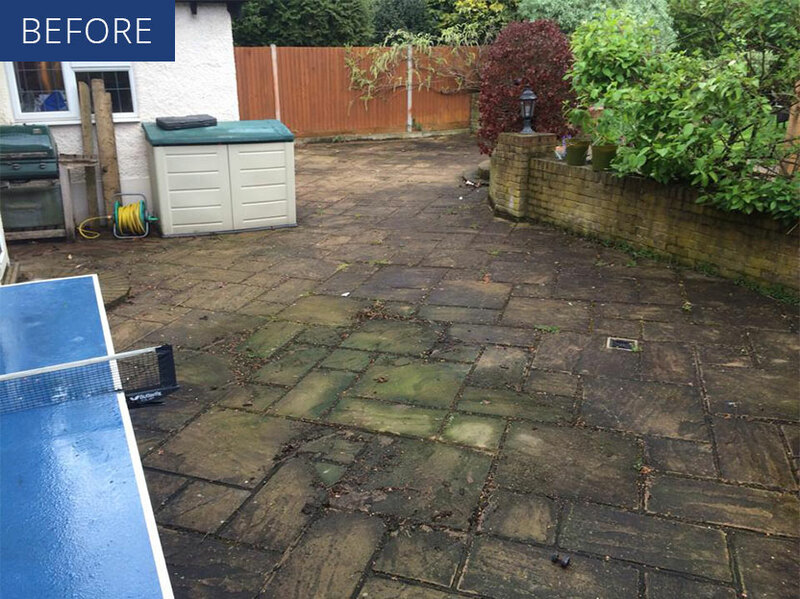 By using the very latest cleaning technology available, they deliver outstanding results every time. Fill in the form below to request a callback to discuss how we can help you today. Here are some recent comments from very satisfied customers. 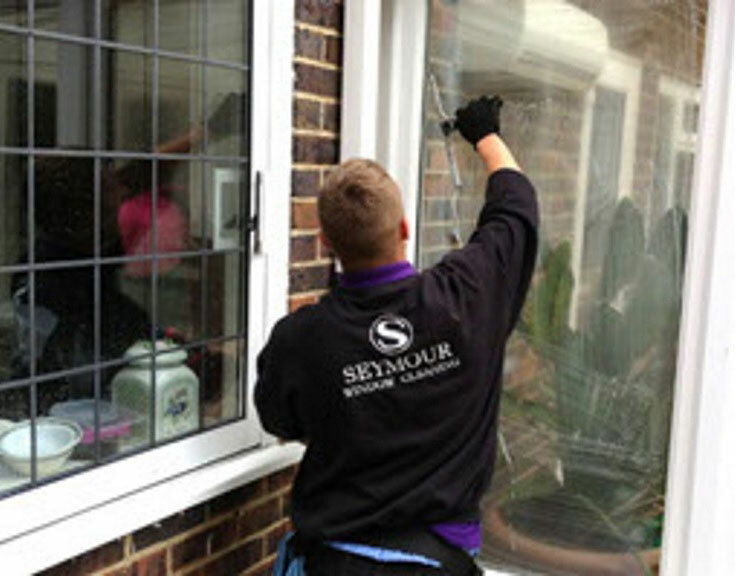 Seymour Cleaning are friendly and reliable and my windows are always spotless! 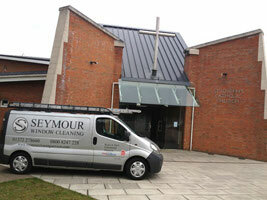 Seymour Cleaning have cleaned my windows for over 12 years. I wouldn’t have anyone else as I trust them completely and they always do such a great job. They know the code to my garden gate and they let themselves in each month and clean my windows. Its always a lovely surprise when I get home late from work and my glass is gleaming. Thank you. 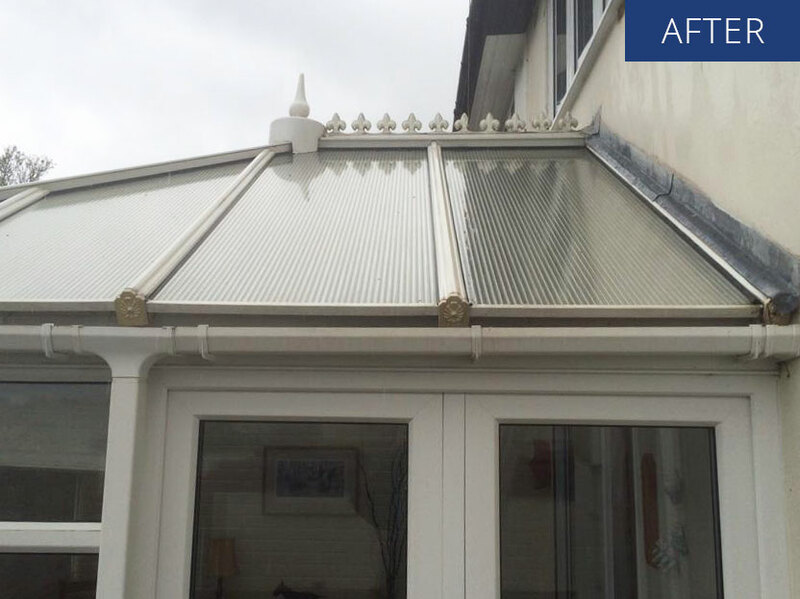 The pole system means the top of my glass conservatory is now as spotless as the rest of my windows. Its a real pleasure to sit there and look up to the sky without seeing moss and dirt! 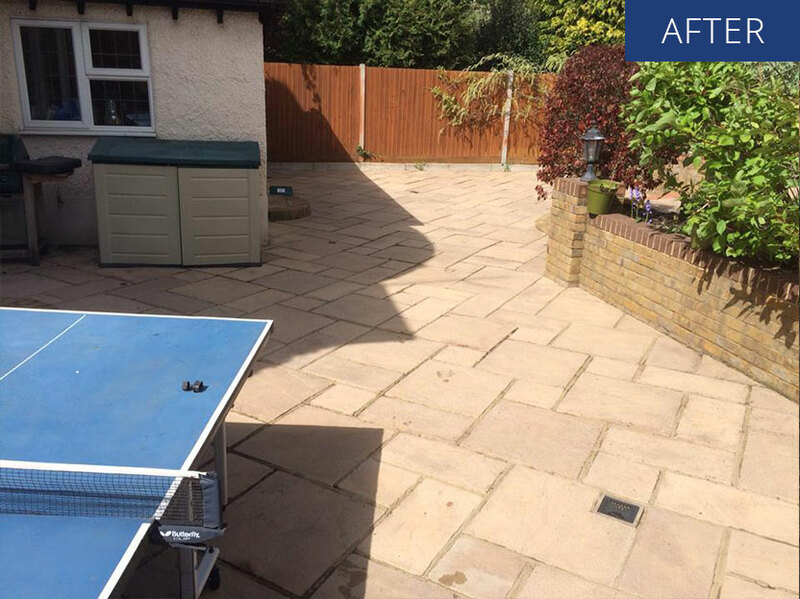 © Copyright | All Rights Reserved | Website Design by We Built Your Website Ltd.